Your favorite country music artists have popular radio singles and songs in movies and TV, but to find out what is really behind their artistry, you have to check out their albums. 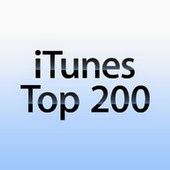 So help your favorite country musician have a Top 100 or, even better, a Top 10 album by supporting their music. Click the links below and stream the songs. Or purchase them directly on iTunes.